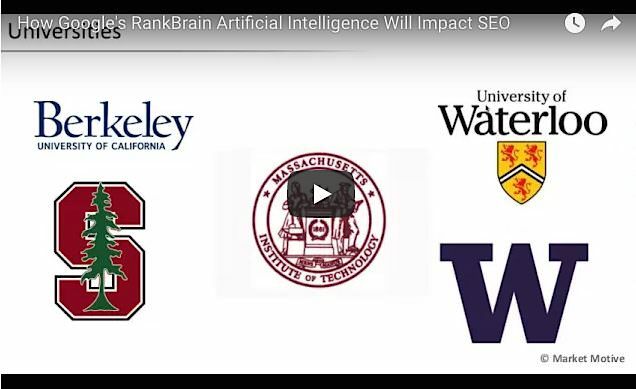 When digital marketers come across the word “artificial intelligence,” they immediately think of the “RankBrain” algorithm. In 2015, Google rolled out RankBrain, which is a machine learning system capable of returning answers to users. RankBrain utilizes the power of artificial intelligence to understand and respond to user queries in the same manner as a human would. 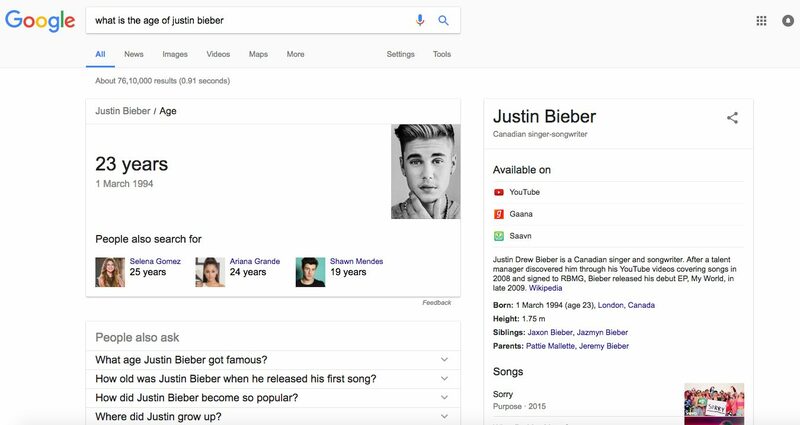 What happens when you enter the following search query on Google: What is the age of Justin Bieber? Moreover, it also returns a set of similar questions that people often type into Google. The accurate return of the answer along with a set of similar questions are all powered by artificial intelligence. What Exactly Is Artificial Intelligence (AI), Machine Learning and Deep Learning? Artificial Intelligence is a branch of computer science that deals with building intelligent machines that can think and respond like humans. The Turing Test, proposed by English Mathematician Alan M. Turing in 1950, was a test that determined the intelligence of computers and was taken in order to identify whether the computer could achieve human-level performance in all cognitive tasks sufficient enough to fool an interrogator. I would recommend you check out this video from Danny Dover where he discusses the Turing Test and other aspects of AI in SEO. Machine learning is a subset of AI that enables machines to automatically learn and improve from experience. Specialized systems are created for this purpose and no explicit programming is needed to add new definitions to the database. The machines can learn on their own. Deep learning is a subset of machine learning comprised of extremely large neural networks and a massive collection of algorithms that can mimic human intelligence. You get the idea now? The return of the direct answer by Google is powered by machine learning and the return of the “people also ask” section is powered by deep learning. Google is constantly learning and mimicking human intelligence without the need for humans to feed all the answers into its massive database. 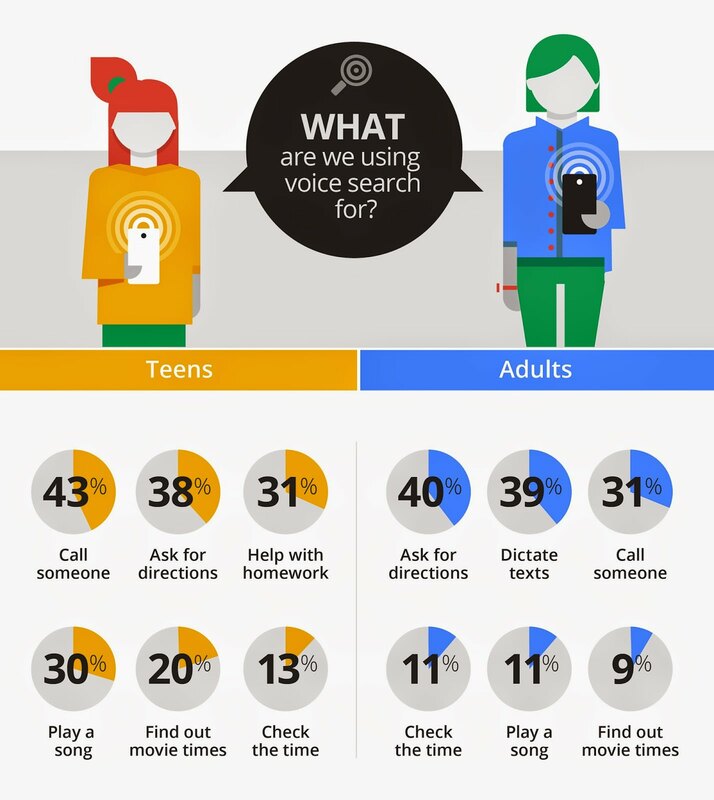 More than 20% of searches entered into Google are now voice based. These are big numbers and digital marketers need to understand this fact and start planning strategies to optimize websites for voice search along with the traditional text-based search. Propensity models are statistical scorecards that are built to identify prospects who are more likely to respond to an offer. It correlates customer characteristics with anticipated behaviors. For AdWords professionals, it is crucial to use Google’s DoubleClick Bid Manager, in which you define your target audience and campaign objectives and the tool automatically recommends strategies to achieve the desired goals. Moreover, predictive analytics allows marketers to extract information from data and uses it to predict purchase trends and user behavior patterns. 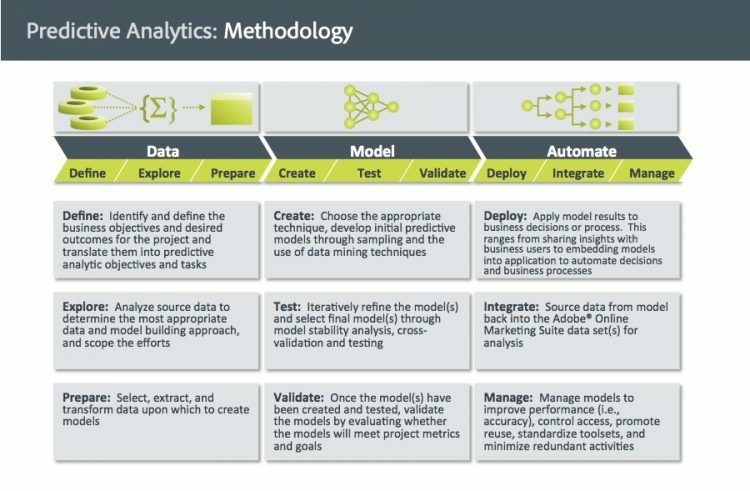 The Adobe predictive analytics tool analyzes large volumes of data and helps to uncover the most impactful insights. Objective identification and data extraction: In this step, you need to identify the business objectives and analyze the available source data to determine patterns that match your needs. Thereafter, data is extracted to create models. Model creation and validation: In this step, data mining is used to refine and select a final model. The models are validated based on the set goals. Apply results and manage models: The final step is the application of the model results into business decisions and constantly refining the models for better outcomes. 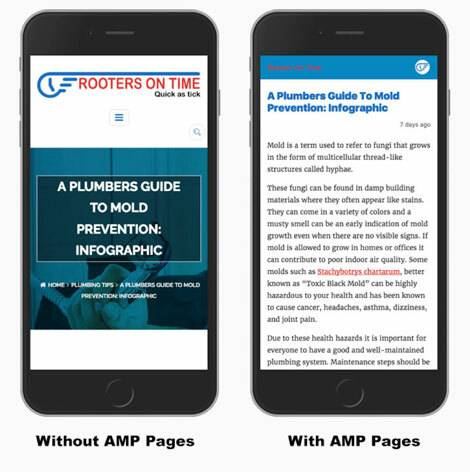 In October 2015, Google announced AMP webpages, which are a lighter version of the traditional webpages and aim to drastically improve the performance of the mobile web, such as reducing page load time to improve the user experience. With the help of RankBrain, Google is getting better and better at knowing what is best for the user. AMP content automatically shows up in priority placement areas like the News Carousel. Having an AMP page means that you increase your chances of ranking on the top three search results of Google. You can easily create an AMP page by following the instructions provided here. Most businesses are already aware of live chatbots, or artificial intelligence systems that you chat with in an instant messaging format, and many are already using this feature on their site. But have you thought of upgrading the traditional live chats with AI-powered chatbots? The time is just ripe to do so. 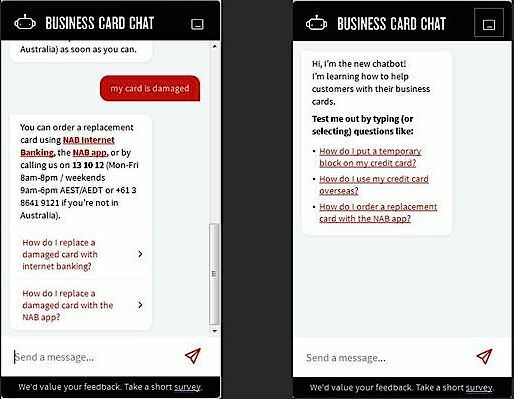 Recently, NAB (National Australia Bank) launched a customer assistance chatbot to help customers find answers to common banking queries. The bot is able to answer more than 200 common questions related to banking. Chatbots can assist customers 24×7 and they can retain customer data. In other words, customers don’t have to repeat themselves with every interaction. This makes the customer experience more enjoyable. They are friendly and never lose patience. Your customers can be angry but the messenger bot will always treat your customers politely. They can handle several customer requests simultaneously, so the waiting time is reduced to nil. Chatbots are useful in creating personalized advertisements for users which can boost sales. They have the power to track customer purchase patterns. This allows the business to revamp their existing marketing strategy and increase sales. 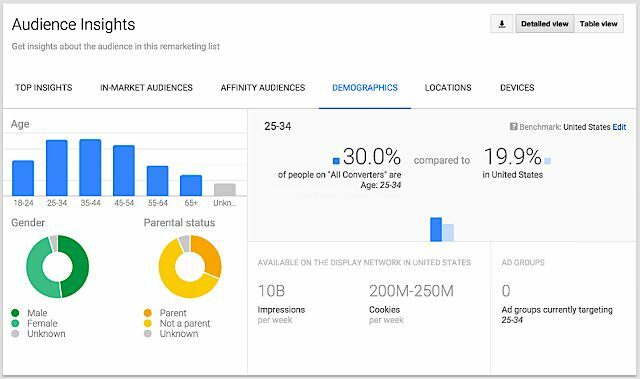 You can now target your ads by audience interests. In other words, in-market audiences uses the power of machine learning to unlock new opportunities for marketers. 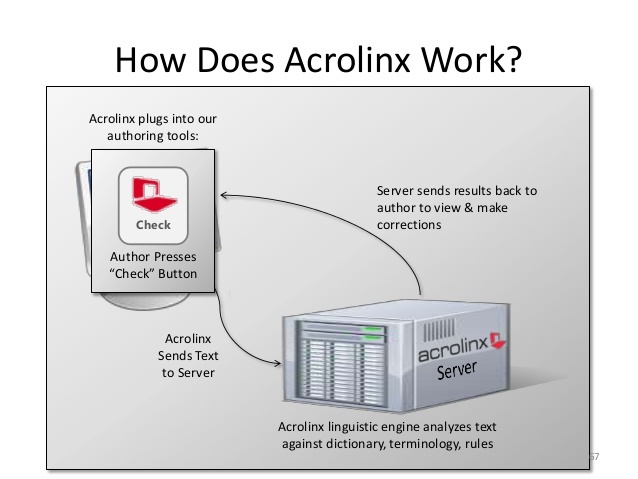 Another AI-powered tool called Acrolinx , which “helps you produce great content with the only AI platform for enterprise content creation,” regularly creates content for major brands like Facebook, IBM, Microsoft, Nestle and Caterpillar. Once you are able to produce content on scale, the next step is reaching your target audiences. You must always combine the power of text and images, as socially shared content that is accompanied by images have the highest chances of reader engagement. You can easily download free stock photos from platforms like Burst to get started. Moreover, marketers are already aware of the fact that the fastest way to reach customers is through influencers. With platforms like Influence.co you can easily reach relevant influencers at scale. AI cannot replace niche content experts, but they can certainly boost the production of content based on sports matches, financial reports and market data. People love content, offers, products and services that are personalized for them. The 2016 trends in personalization report from Evergage suggests that around 33% of the surveyed marketers use AI as a means to deliver personalized experiences to the user. With AI, analyzation of data points has become easier. You can display personalized content and offers to each and every individual prospect by analyzing their location, device, past interaction, demographics, etc. You also have the power to automate e-mail marketing and send regular push notifications to the prospects based on the micro moments or their current interaction with your business. 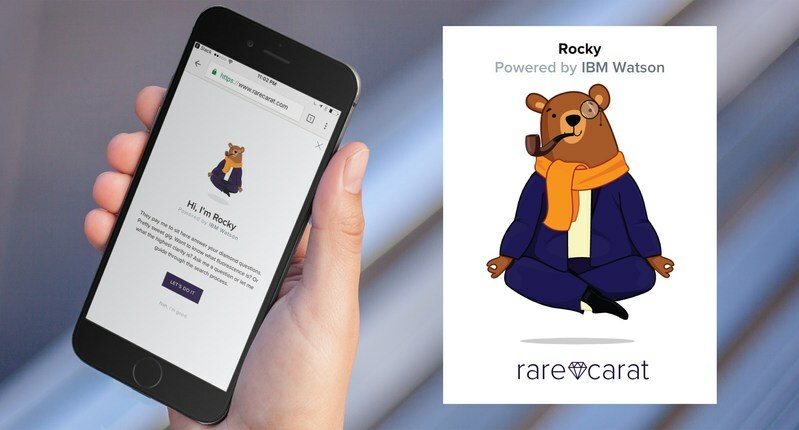 Rare Carat uses IBM Watson technology that allows prospects compare diamond prices across various online retailers so that the buyers are able to find the right diamond at the right price. The New York-based startup and e-commerce platform for buying diamonds does this with the help of an AI-powered robot called “Rocky.” The robot is able to answer all the queries associated with diamonds and also assists buyers with purchasing a ring at the best price. With the rise in voice search queries, it is becoming more than necessary for marketers to optimize for natural language long-tailed voice queries. Google has disclosed in its blog that around 70% of queries that the Google Assistant receives consists of natural, conversational language and not the typical keywords that are used in a typed Google search. It is crucial to identify the intent behind the conversations that prospects are having with your brand. Create pages that provide a direct answer to the questions asked by searchers. Questions normally start with “who,” “what,” “where,” “when,” “why” and “how,” so try optimizing your web pages accordingly. Create local landing pages for every location that you are targeting. Develop local website content that would spark the interest of the people in your area and make use of structured markup to make it easier for the search engines to understand the context of the page. AI is set to save marketers and businesses both time and money. For example, chatbots will make the job of sales agents easier than before and marketers can expect to have immediate insights on the best-performing ads or content. Artificial intelligence and machine learning will not pose any threat to existing jobs; it will only make our tasks easier than ever. Recurring tasks can easily be shifted over to bots and tasks that need human intervention will still rest on the shoulders of people. AI-powered analytics platforms like Albert and PaveAI will provide more accurate and relevant data that will help marketers take robust and immediate decisions. As a business owner or marketer, it is time to identify the problems that your business or marketing campaign is facing and how accurate insights can solve these issues. Gathering all the data spread across numerous applications into one place will help you to get accurate insights. Whether it’s dynamic price optimization or automatic selection of ad copy based on the user demographics, AI has the power to do it all. All you need to do is ask yourself what your most pressing needs are and AI can do the rest.